Caerfai Bay Caravan and Tent Park is a family run, family friendly park. 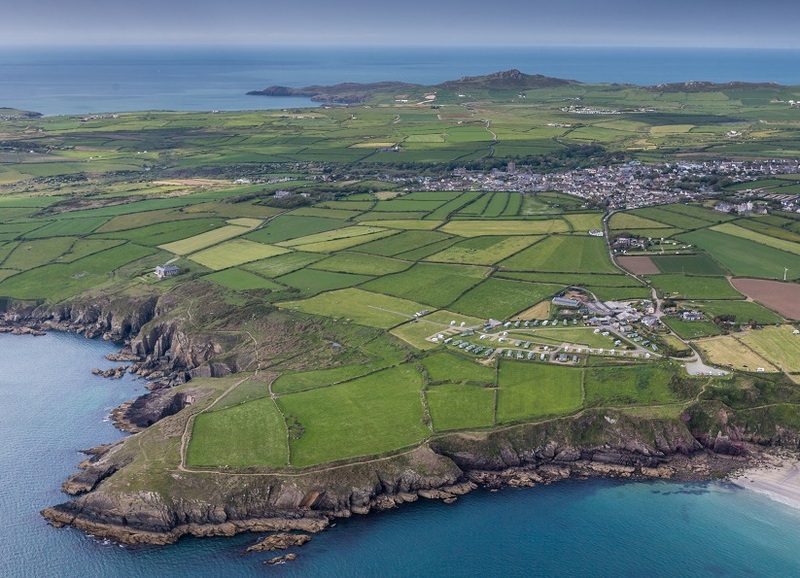 There are no clubs and no organised entertainment, allowing you and your family to enjoy the tranquility of this spectacular unspoilt location in the heart of the Pembrokeshire Coast National Park. From all our pitches, you have a beautiful view of the sea, St Brides Bay and the Pembrokeshire coastline. If you can tear yourself away from the view, it is only a few minutes walk to the sandy bathing beach Caerfai Bay or into St Davids, the smallest city in the UK. In St Davids you will find the Cathedral, Bishops Palace, Oriel y Parc, cafes, local crafts and much more. The Pembrokeshire Coastal Path, winding its way around Pembrokeshire, passes the Park entrance. Caerbwdy bay a short walk to the east and St Nons Chapel to the west. For the more serious walker, further along the coast to Solva Harbour, with its colourful shops, eateries and pubs or in the opposite direction towards St Justinians, the lifeboat station and Ramsay Island with lots of local wildlife – the choice is yours. To book you can search directly using the booking widget, a £30 per week deposit is required to confirm booking. Touring Caravans and Motorhomes pitches are situated in our first field Hanner Guinea (half a Guinea). Camping and Campervans have designated pitches in our two lovely camping fields, Parc Ffynnon and Rhos Carreg Lwyd (field of the well and field of the grey rock).